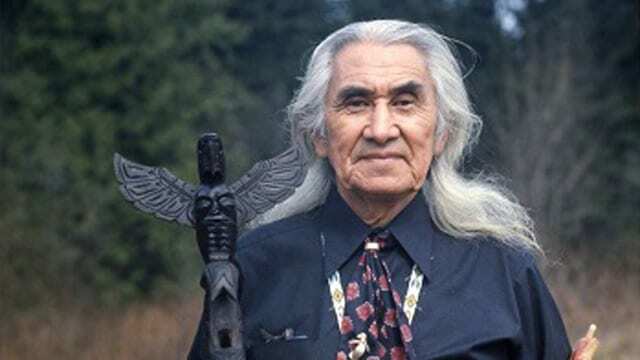 It was 1967 and the acclaimed actor and former Tsleil-Waututh chief was set to speak at Canada’s centennial celebration in Vancouver. His wife had urged him to write something about what the day means to First Nations, says Leonard. When his soliloquy was ready, he stood in the family’s living room and read it aloud. “We all applauded because it was so beautiful and so powerful,” says Leonard, 70. They weren’t sure, however, that the crowd of 32,000 at Empire Stadium would do the same. The speech forcefully critiques colonization and calls on Indigenous people to “grab the white man’s instruments of success” to rise again. George rehearsed every night for two weeks, along with his adult children, who were set to join him on stage. When the day finally came, Leonard could not have predicted how the audience would react. After his father finished speaking, there were a few seconds of stunned silence. Then the audience rose to their feet and filled the stadium with about 10 minutes of deafening applause. The speech came at a time when George was a powerful figure in an emerging Aboriginal rights movement. He helped bring shameful parts of Canada’s history out of the shadows and inspired young Indigenous leaders, says one researcher. “I think he spoke both to their oppression and their rights and to their resiliency and their future,” said Hugh Shewell, a professor with expertise in Indigenous-state relations at Carleton University in Ottawa. As Canada celebrates its 150th birthday, George’s family and friends are urging Canadians to reflect on his words. They say while the government’s treatment of Aboriginal Peoples has not changed much, First Nations themselves have risen up in many of the ways he predicted. Dan George recalls Canada “when your forests were mine,” when they gave him meat and clothing and when fish flashed in abundant rivers and streams. But in the long hundred years since the white man came, he says he has seen his freedom disappear. “When I fought to protect my land and my home, I was called a savage. When I neither understood nor welcomed this way of life, I was called lazy. When I tried to rule my people, I was stripped of my authority,” he says. The speech ends with a call to rise again, like “the thunderbird of old” and to seize the white man’s education and skills. It predicts young braves and chiefs will sit in the houses of government and law. “So shall the next hundred years be the greatest in the proud history of our tribes and nations,” it concludes. George’s address was so revolutionary, his daughter Amy George recalls, she feared he would be killed for delivering it. She was in her 20s and the assassination of U.S. president John F. Kennedy was fresh in her mind. “Some people did get very angry, too. When we were walking off the field at the stadium, some people were saying ‘You’re nuts!’ and they were throwing bottles and empty cups at us,” she says. There hasn’t been much improvement in how Canada treats First Nations since George’s speech, says his grandson Rueben George. 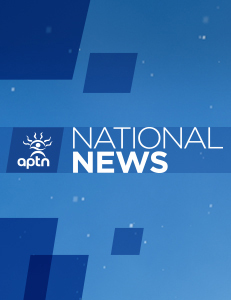 He points to disproportionately high numbers of Indigenous kids in government care and inadequate funding for housing, education and clean water on reserves. But just as his grandfather envisioned, Indigenous people are sitting in the House of Commons and the courts, and have a say in resource projects on their lands, says Rueben. “We took back what is ours. That’s our identity, our culture, our spirituality … our law,” he says. Later in 1967, singer-songwriter Ann Mortifee performed with George in a groundbreaking play, “The Ecstasy of Rita Joe,” about a young Aboriginal woman. Mortifee, who was 20, says George opened her eyes to the brutality of colonialism. How long have I known you, Oh Canada? A hundred years? Yes, a hundred years. And many, many seelanum more. And today, when you celebrate your hundred years, Oh Canada, I am sad for all the Indian people throughout the land. For I have known you when your forests were mine; when they gave me my meat and my clothing. I have known you in your streams and rivers where your fish flashed and danced in the sun, where the waters said ‘come, come and eat of my abundance.’ I have known you in the freedom of the winds. And my spirit, like the winds, once roamed your good lands. But in the long hundred years since the white man came, I have seen my freedom disappear like the salmon going mysteriously out to sea. The white man’s strange customs, which I could not understand, pressed down upon me until I could no longer breathe. When I fought to protect my land and my home, I was called a savage. When I neither understood nor welcomed his way of life, I was called lazy. When I tried to rule my people, I was stripped of my authority. My nation was ignored in your history textbooks – they were little more important in the history of Canada than the buffalo that ranged the plains. I was ridiculed in your plays and motion pictures, and when I drank your fire-water, I got drunk – very, very drunk. And I forgot. Oh Canada, how can I celebrate with you this centenary, this hundred years? Shall I thank you for the reserves that are left to me of my beautiful forests? For the canned fish of my rivers? For the loss of my pride and authority, even among my own people? For the lack of my will to fight back? No! I must forget what’s past and gone. Oh God in heaven! Give me back the courage of the olden chiefs. Let me wrestle with my surroundings. Let me again, as in the days of old, dominate my environment. Let me humbly accept this new culture and through it rise up and go on. Oh God! Like the thunderbird of old I shall rise again out of the sea; I shall grab the instruments of the white man’s success – his education, his skills, and with these new tools I shall build my race into the proudest segment of your society. Before I follow the great chiefs who have gone before us, Oh Canada, I shall see these things come to pass. I shall see our young braves and our chiefs sitting in the houses of law and government, ruling and being ruled by the knowledge and freedoms of our great land. So shall we shatter the barriers of our isolation. So shall the next hundred years be the greatest in the proud history of our tribes and nations. Sadly, we have a lot to account for and should remember this on this day as Canada celebrates. I am not of the First Nation culture but believe we have equal rights, and I have been actively involved for over 10 years to make Chief Georges words come true. I have serched deep within to learn how I can best contribute to this, and I have found that, although I was not here then (or maybe I was? ), what my forefathers have done has instilled guilt in me. And I have found that I am not the only one to carry this harmful emotion, perhaps most of us settlers do, and probably burried deep. I think that this is one of the obstacles that my people need to overcome for reconciliation to happen. We certainly need to forgive ourselves for not always having the courage to look at Truth straight in the eyes and act accordingly. I hope my message will be welcomed by the First Nation community and you will know that there are some white people who are working hard to change things. Because this divide is for me one more illusion, while the Truth is that we all are needed, we all have equal value and are all worthy of the same respect. And I think that as we get to living this individually, our society will reflect it. My mind has often mulled over the 1967 words of Chief Dan George. In these past 50 years they have been remembered through the emotions and depth they conveyed – more than their literal word, sentence and phrased meanings. Chief George’s sharing was and remains to this day the greatest message of wisdom that has ever been presented on this theme of reconciliation, of re-connection, of inclusion of us all. 50 years ago he chose to chastise both indigenous and non-indigenous alike. Yet, the power of his gentleness was unmistakable. He was simply saying : STOP! ; take heed, take the time to heal the wounds. And though his presentation encouraged us to never forget, he mainly pleaded that we should move on, using all the tools at hand to join together and to never again be apart. His was an honest and earnest and heart-ache filled presentation of unity, not division. If we have a mentor in this quest to be reconciled, it should be Chief Dan George. 50 years ago, he not only talked the talk, he humbly walked the walk like the greatest of Kings who chose to lead rather than rule. And because he did, he is for me the greatest Canadian hero we never had. . . He was and is that needed unifier – a man of vision whose gift was vision – if we would only take it from his outstretched hand and heart. It has taken 50 years for us to look back upon his prophetic words. . . Isn’t it time? Chief Dan George’s yearning of 50 years ago still resonates deeply to this day. Yet I remain sad because few of us, on either side of the great divide maintained between us, have bothered to heed this greatest yet most humble plea before God. Maybe now?. . . Please? For all our sake? The white man needs a heroic forgiveness as much as this great land’s First Nations warrant respect and equity. And so I pray that we both open each other’s doors to each other’s hearts and souls and minds in order that the blending of our humanity gives the earth that is the mother to us all a better view, taste, smell, sound and touch of the genius of our truly reconciled selves. (Thank you for allowing me these thoughts and feelings sent out to us all – those who need to stop being “us and them”. Though not “officially” indigenous, I simply needed to have a say in honour of my godson who is.) Please feel free to not post or to delete if need be. where is the speech not a summery but the speech? That is so true of our nations and the crown and the governments need to listen to us First Nation’s that we will always be here as long as the wind blows, river flows, and our young people are the generation of the future and the only way is Education the legal way. How can you not be moved. I personally am very very moved by this gentle approach from the indigenous peoples of this land. They have every right to be in our faces but have not taken that direct or rude approach. Though being an immigrant to Canada, a little less than than 50 years ago, for many years I did not even know about this history of ours. I am personally ashamed but at the same time ethically challenged to participate in any form of healing we could respectfully perform without any further moaning or mumbling. I am glad that the indigenous peoples have finally taken a stand on Canada’s 150 anniversary and pitched a tepee on their heritage lands. It is about time all Canadians be respectful of their expression of a desire to be part of a country that they were born into. I would like to see tepee/s pitched on every parkland in Canada, for some really great reasons. I would also love to see us participate more in indigenous living and to witness their presence more in our mutually integrated lives. I heard his voice as I read his words. To see and hear the people in the government both federal and provincial and local means his words pointed his people to the way for the success of their generations present and future.